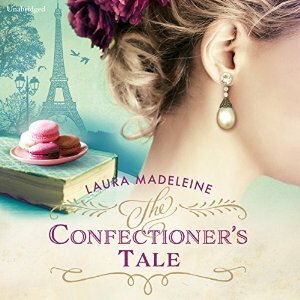 With the rush towards Christmas, page-proofing, new writing and an overload of mulled things, it completely slipped my mind to say that a few weeks ago, The Confectioner’s Tale was released as an audiobook! Very exciting of course; but also more than a little strange to hear my words read aloud by someone else for the first time! It’s read by Julie Teal (who has also narrated The Saffron Trail and The Honours, amongst many other things). If you’re so inclined, you can get your hands on a copy – and hear a sample – at Audible, iTunes, Amazon or, wherever you usually get your audiobooks from. More news soon on new book releases, foreign versions and general cakery.